SERVPRO of North Thornton/Brighton has the highly trained experts in mold remediation. This Lochbuie homeowner discovered mold in the ceiling of their living room. 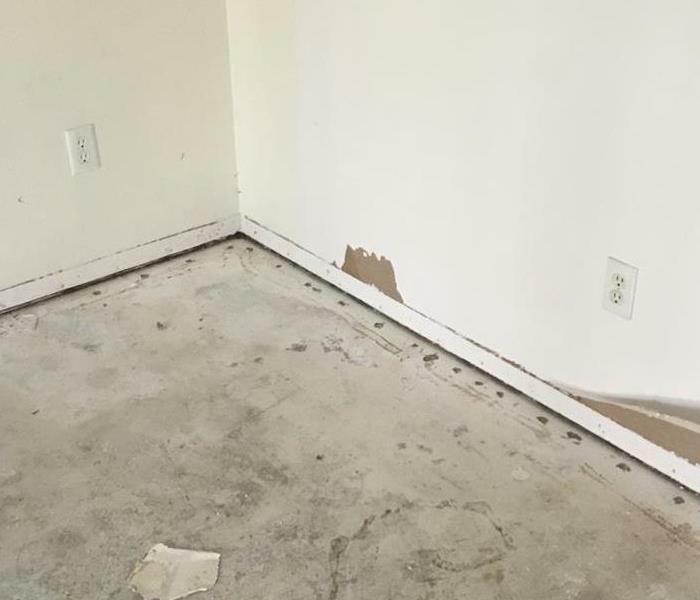 After removing the mold the homeowner was able to determine the source of the moisture that caused the mold growth and repaired it immediately. A Northglenn resident called us for help when they discovered water in their kitchen and they had no idea where it was coming from. Our technicians helped the home owner find the problem and shut off the water to minimize the damage. 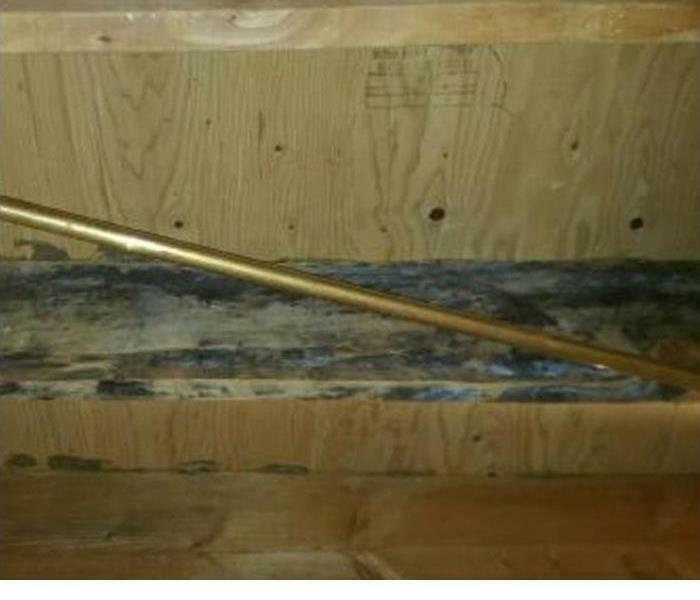 In Henderson, this homeowner had a pipe behind the washing machine leak all over their floors. Once we arrived the homeowner had already turned off the water and mopped up the standing water. Unfortunately the water had already ruined the wood floors in this small portion of the home. We removed them and the debris leaving our equipment to ensure the are was dry. 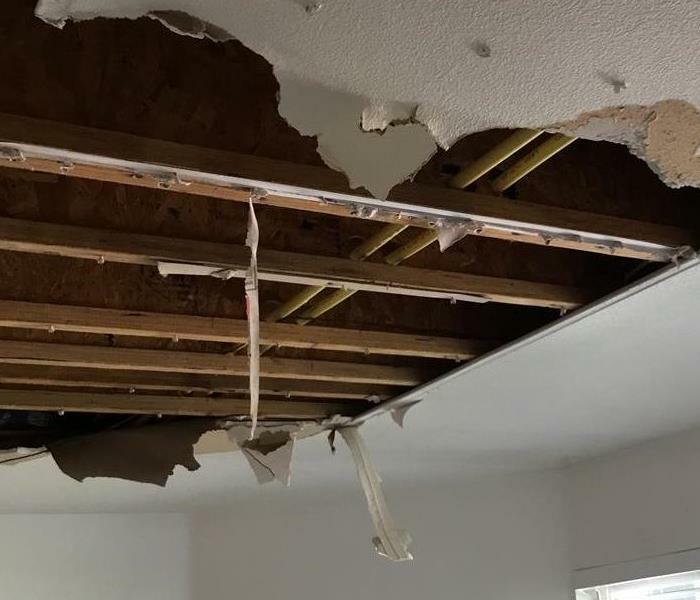 This Todd Creek Dental office had a major supply like pipe burst and called SERVPRO of North Thornton/Brighton for help. We arrived quickly and immediately extracted all the standing water from the affected area. Our drying equipment finished up the job. This North Thornton new construction home is located in an area that has recently had heavy storms. Unwanted water found its way inside which required our water mitigation services. We extracted standing water and set up drying equipment to get the area dry with as little collateral damage as possible. 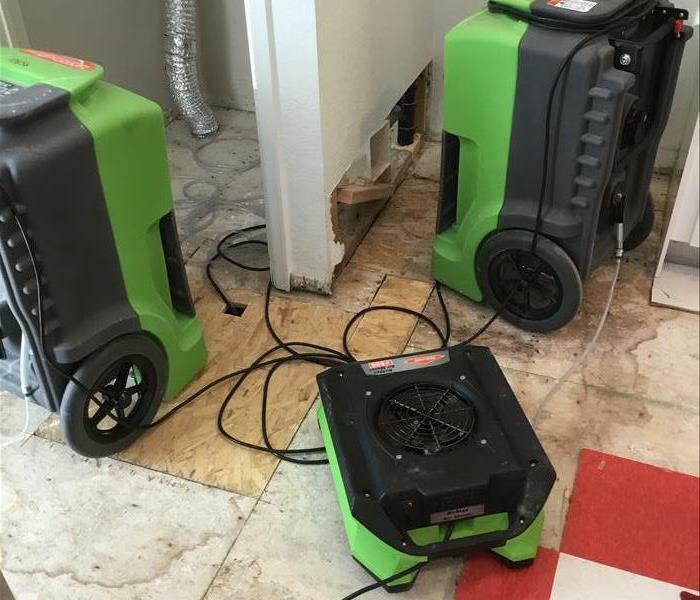 After a water loss at a dentists office, our SERVPRO of North Thornton/Brighton team was called to action. 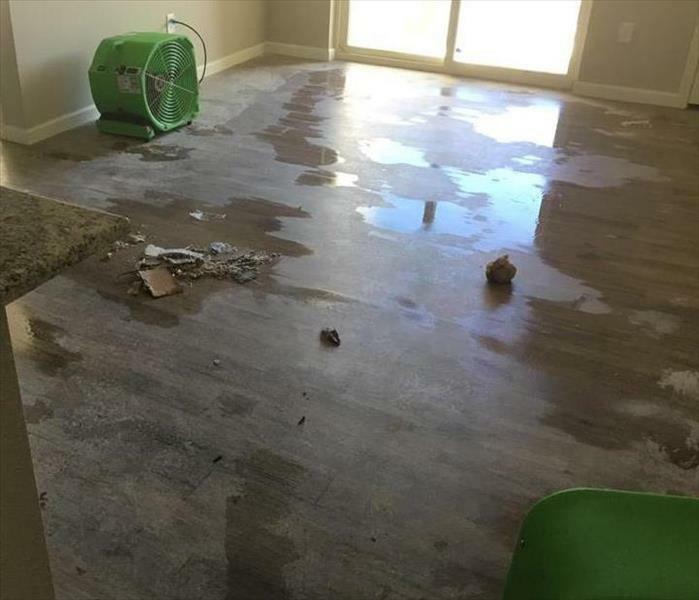 Our team quickly responded and got to work to make their water damage "Like it never even happened." 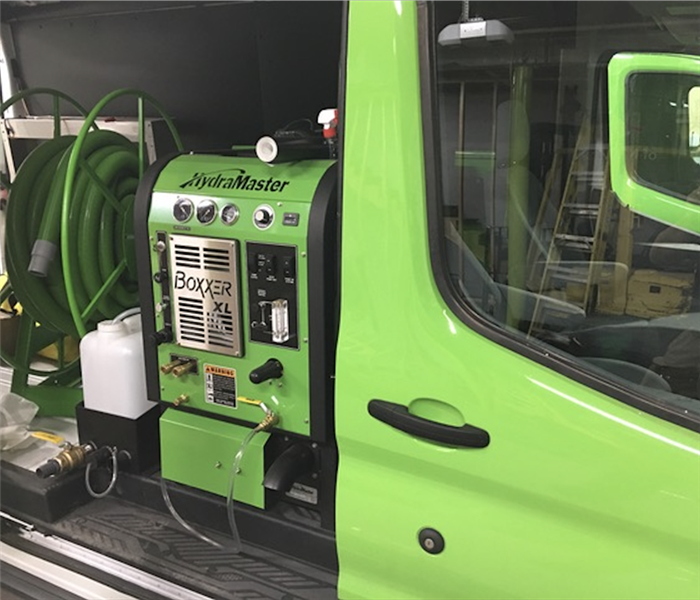 Our SERVPRO of North Thornton/Brighton team is always on standby and always ready to respond! If you experience water, fire, or mold damage in your home or business, give our SERVPRO of North Thornton/Brighton team a call! 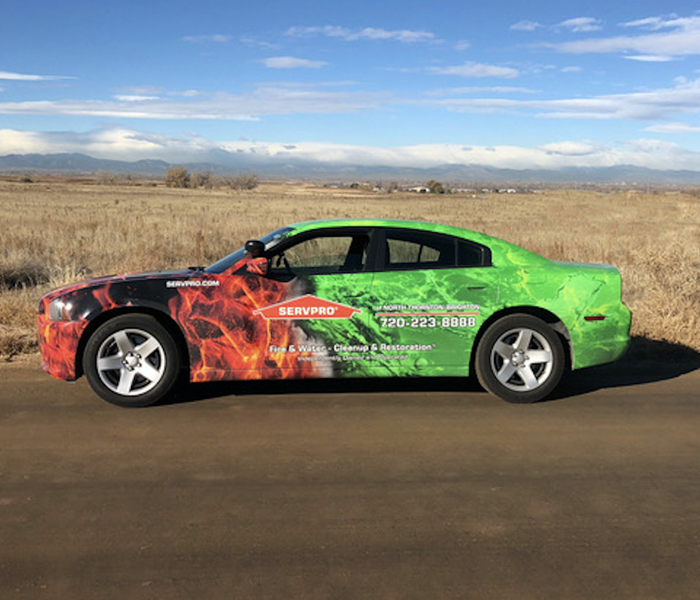 We understand that disasters never occur at a convenient time, our SERVPRO of North Thornton/Brighton team prides ourselves with being on standby and ready to respond, 24/7/365. If disaster strikes, give us a call at (720) 223-8888. 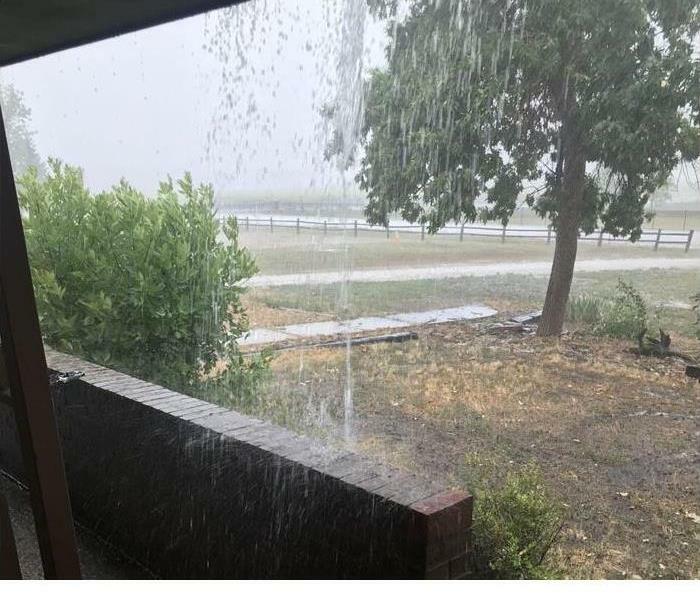 It is important to keep your gutters clean in case of a storm. Overflowing gutters can mean improperly directed water, which can in turn cause erosion and basement flooding. To avoid all of that damage, a simple gutter cleaning once every few weeks will do the trick. 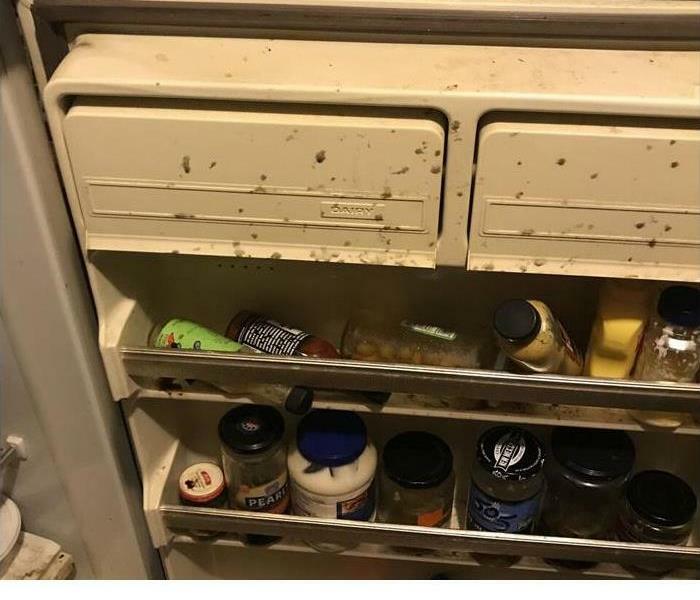 We've all found some moldy cheese in our refrigerator at one time or another, but make sure you're throwing away your expired food items to prevent the spread of mold. 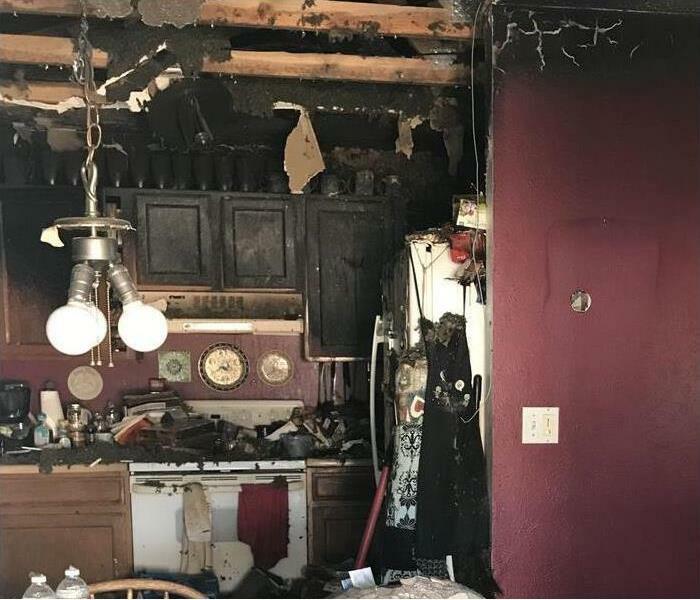 This was the aftermath of a kitchen fire in Thornton, CO. 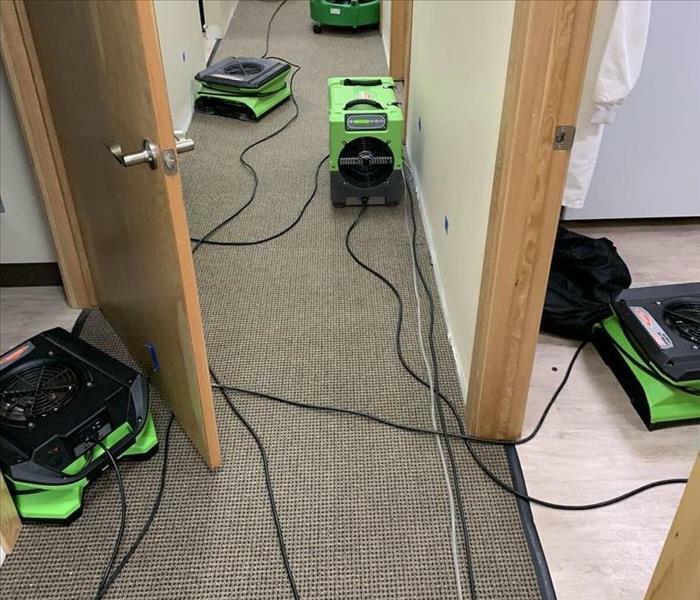 There was significant smoke and soot damage, but SERVPRO of North Thornton and Brighton helped to clean things up "Like it never even happened." 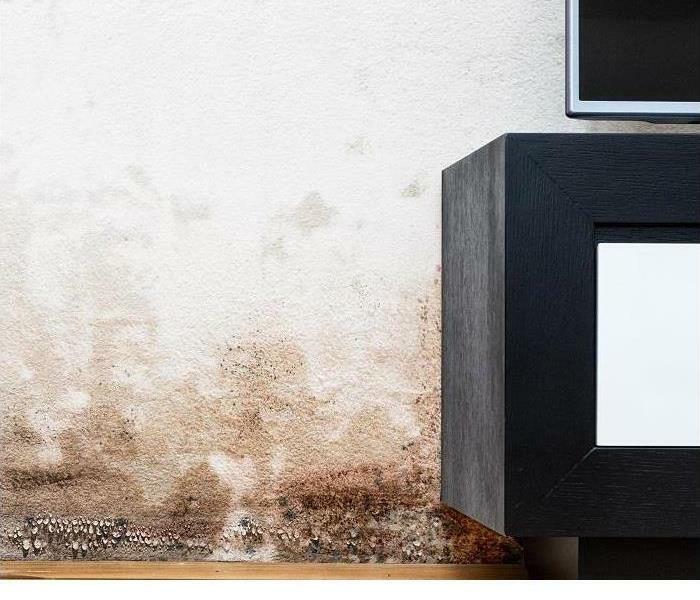 Mold can grow in many places, all it needs is a little moisture. 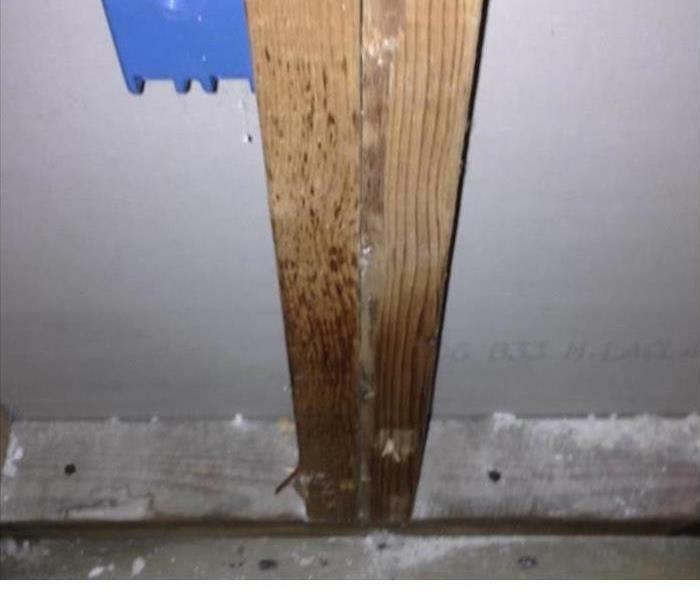 Here you can see where mold has grown in the rafters of someones house after a leaky pipe was not addressed properly. 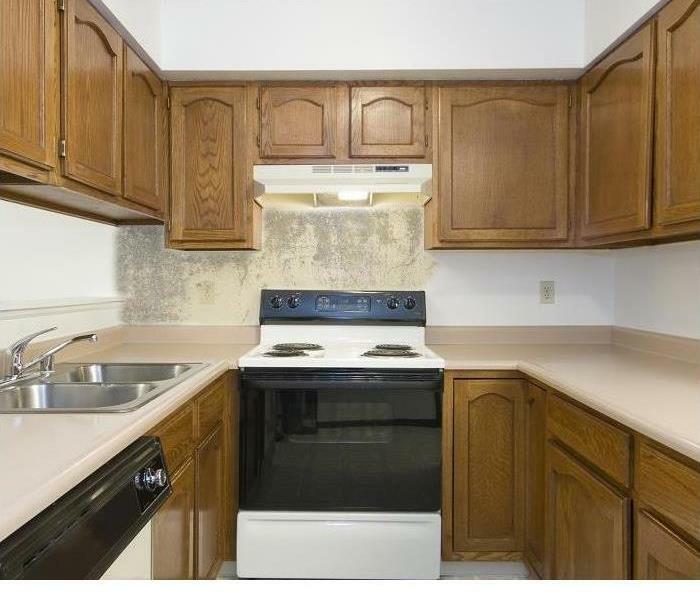 The team at SERVPRO did a kitchen remodel after finding mold behind cabinets. 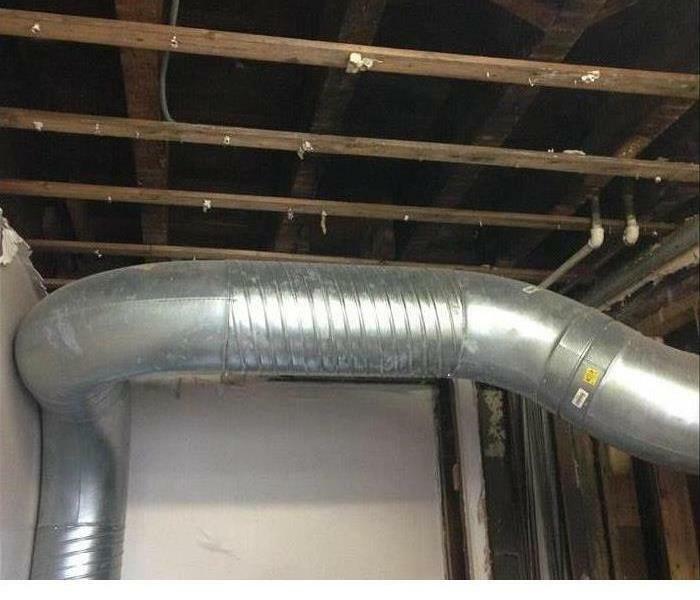 They have special techniques to treat and clean the mold. They ripped out old cabinets and restored back to normal conditions. This ceiling suffered from mold damage. The water in the ceiling after a water loss was not dried properly causing mold to grow. SERVPRO came in and replaced the ceiling tiles and treated properly. 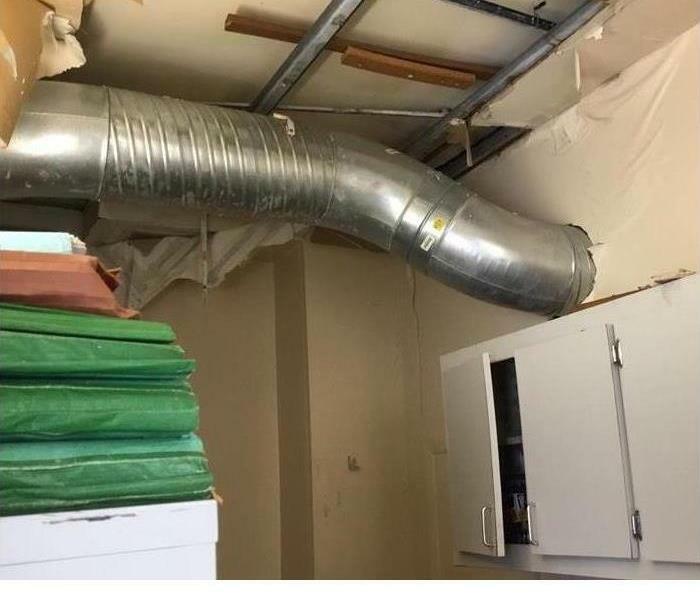 This kitchen quickly began to grow mold on the wall after a pipe busted in the wall. The team at SERVPRO has professional cleaning techniques to treat mold properly and restore to pre mold conditions. 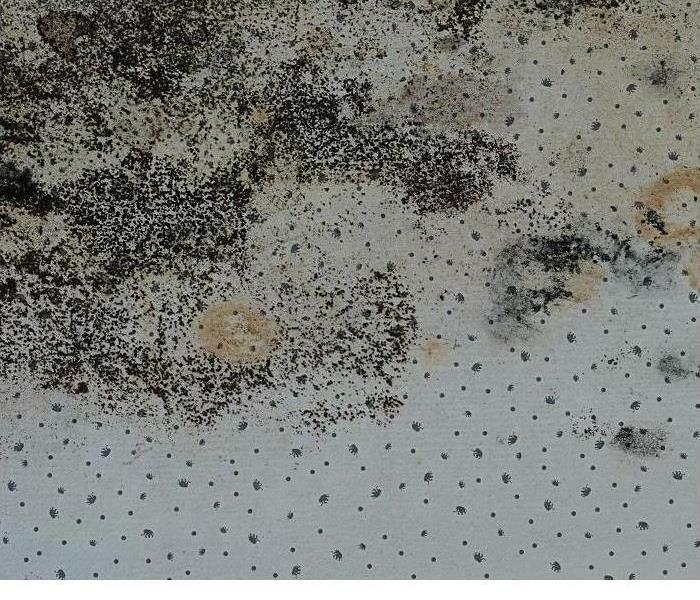 Mold can grow quickly so it is important to get it taken care of as soon as you spot it. Mold can grow anywhere moisture is present. 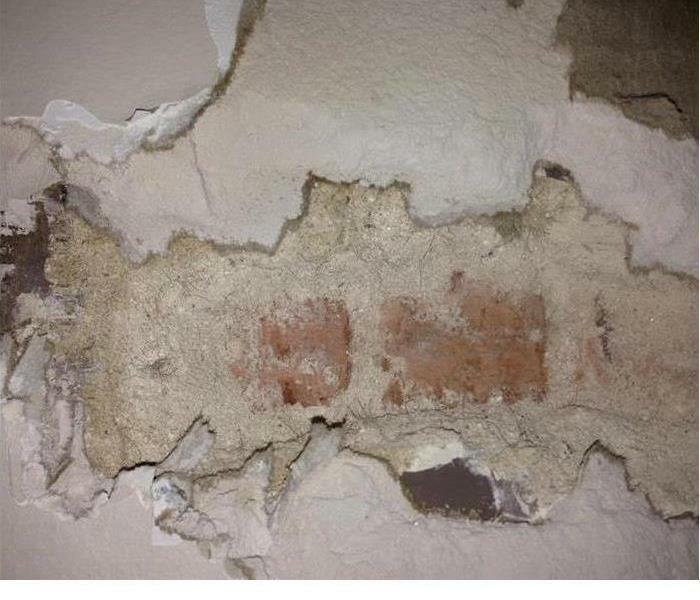 After a water loss this wall began to grow mold after not being treated properly. This floor had significant amounts of water in the floor after a flood in the area. 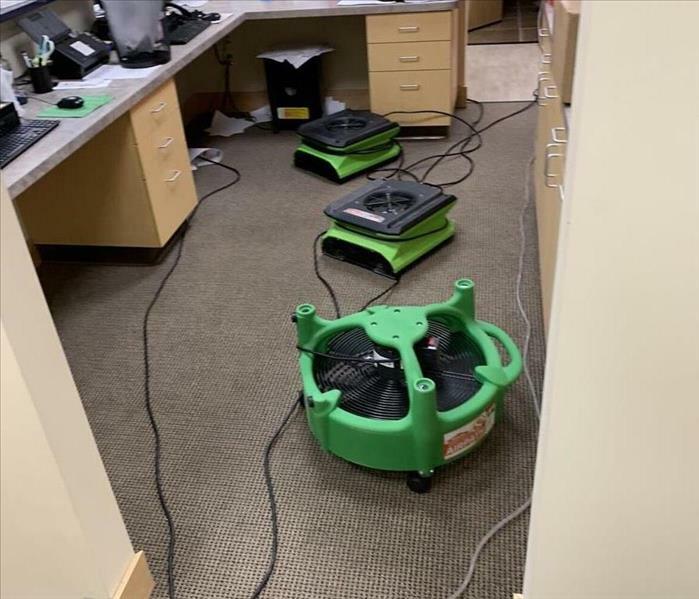 The team brought in air movers to quickly dry the floor preventing any future damages. This basement suffered from significant amounts of water after a storm in the area. The team came in and extracted the water from the floor and brought in air movers to dry floor and drywall quickly. Storms can cause significant amounts of damage. 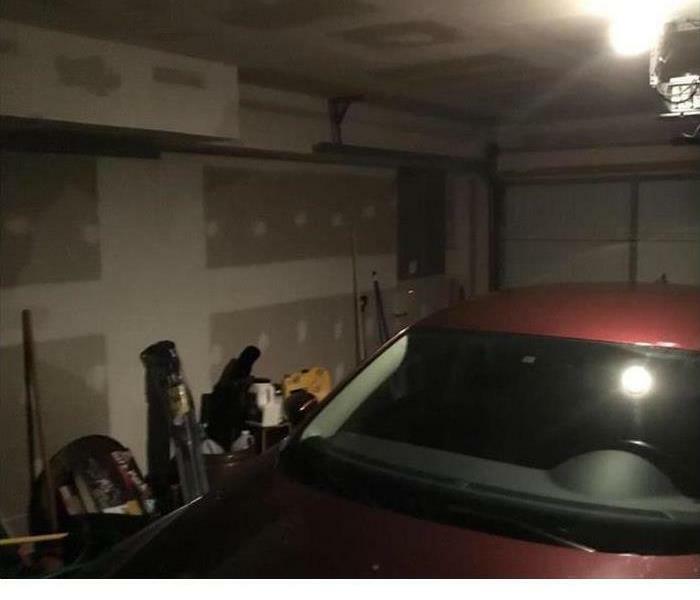 This garage suffered from a sever storm. The team at SERVPRO has professional cleaning techniques to restore your home after a storm. Contact us 24/7 for your restoration emergency. 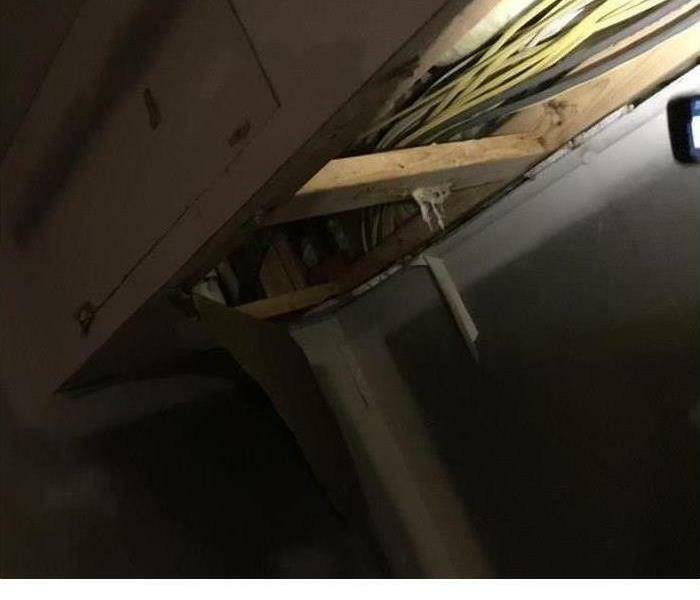 This was the garage ceiling after a severe storm hit a home in the area. 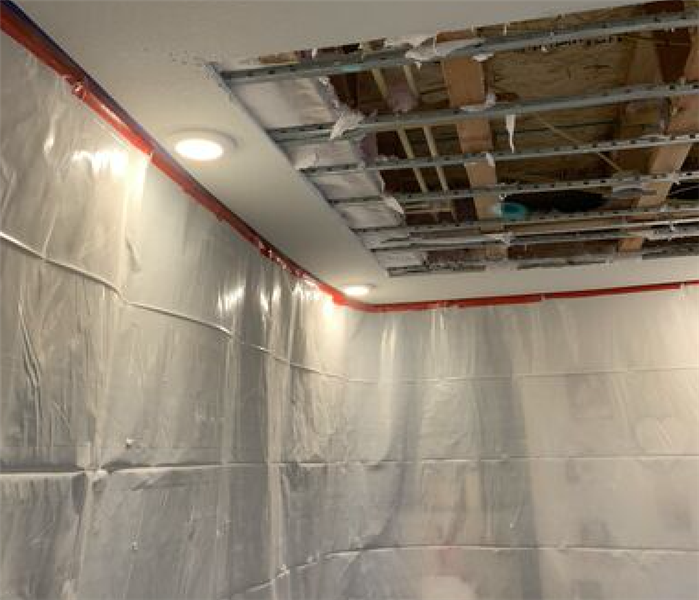 SERVPRO responded and quickly begin to tear out drywall and the area to prevent any more damages. The area was restored back to pre storm conditions. 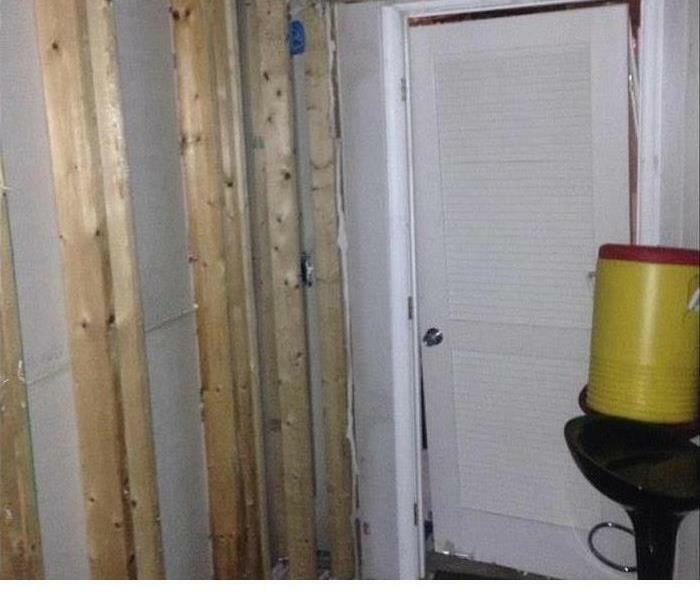 This wall suffered from water damage after a pipe busted behind the wall. The drywall was beginning to come off and needed dried and repaired. SERVPRO has the trained technicians who can respond and immediately begin clean up. 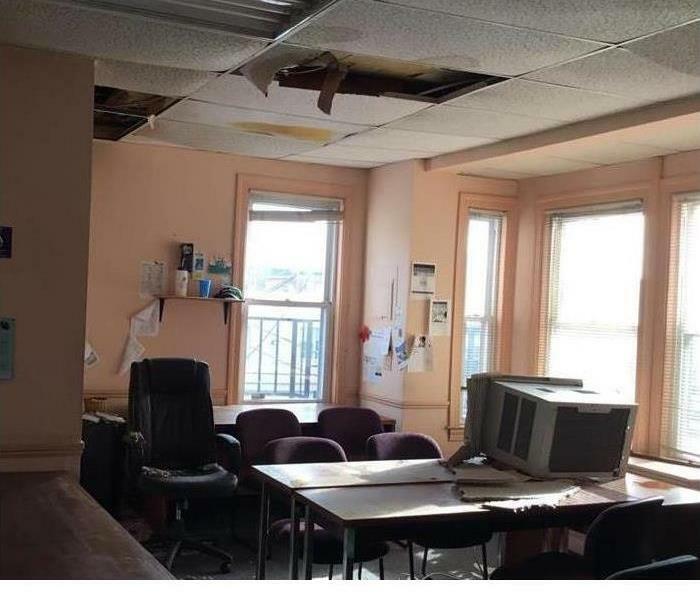 This office had significant storm damage after a severe storm hit the area. The team at SERVPRO responded and quickly began clean up. They had water in the floors that was extracted and dried with air movers to prevent future damages. SERVPRO can respond to any type of commercial or residential restoration emergency. The teams are trained in all levels of restoration procedures to clean after mold, fire, storm, or water emergency. Contact us 24/7/365. 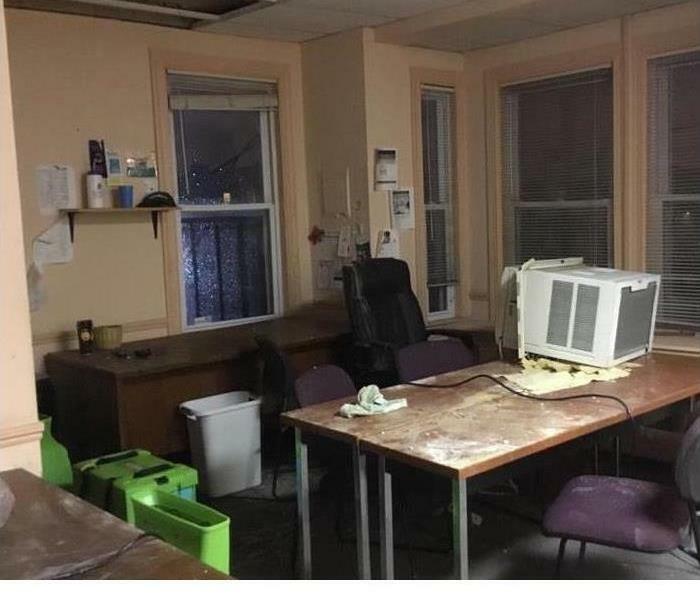 This commercial office suffered from water damage. The team at SERVPRO responded and boxed up content and began clean up procedures. They stored the content until the office was restored back to normal conditions. SERVPRO can respond to any type of restoration emergency. 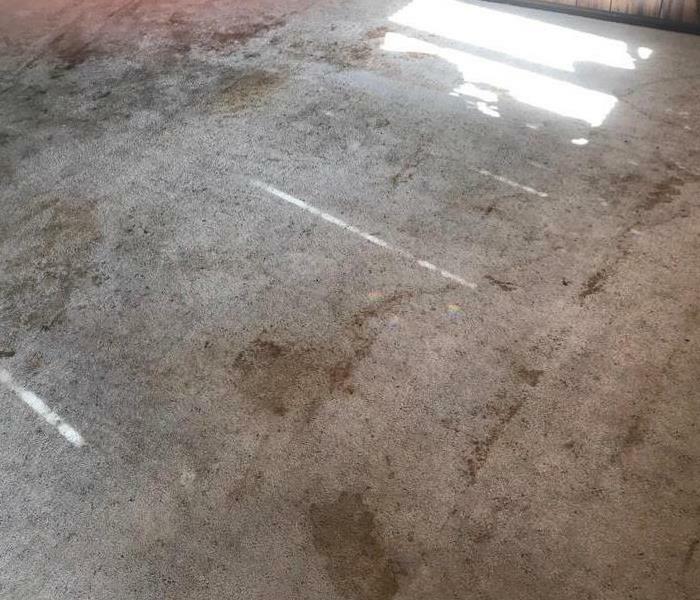 The team has special techniques for cleaning and restoring your business back to normal conditions after any type of water, fire, mold, or storm. 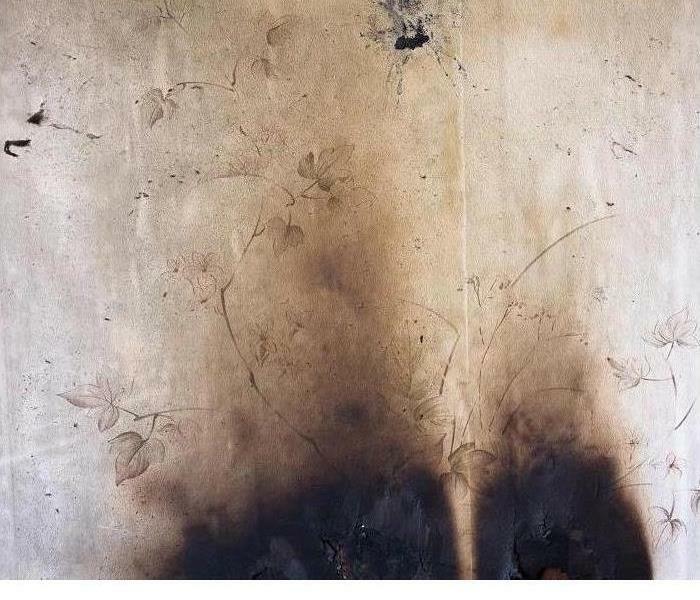 The drywall was stained from the smoke and soot after a fire. 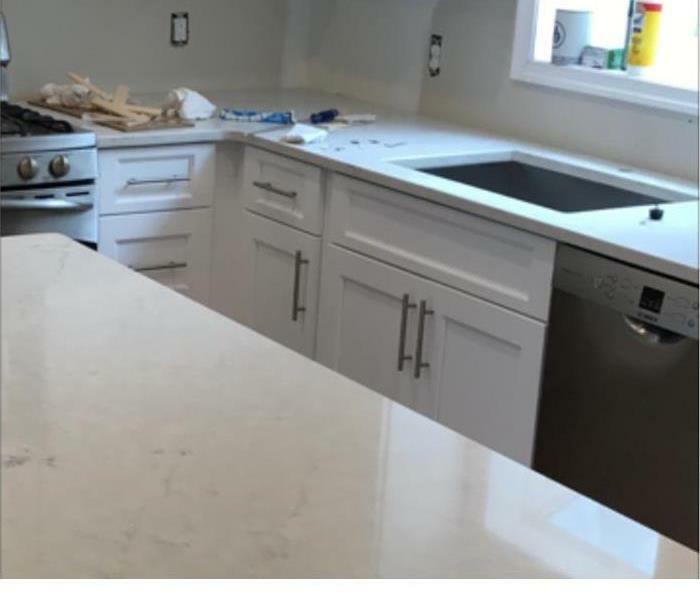 SERVPRO has special cleaning techniques they can use to remove the stains and make your home or business look new. This room suffered from significant amounts of smoke and soot damage. 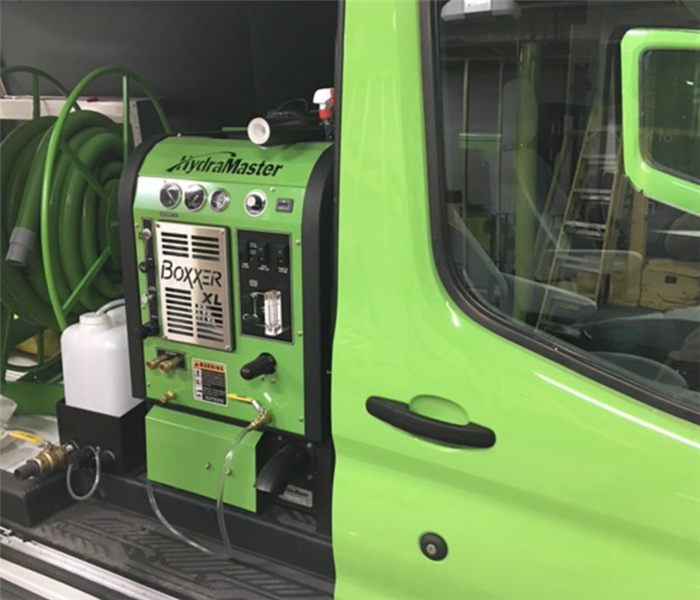 The team at SERVPRO has special cleaning techniques to clean the property and restore back to pre fire conditions. This was a building that suffered from fire damage. 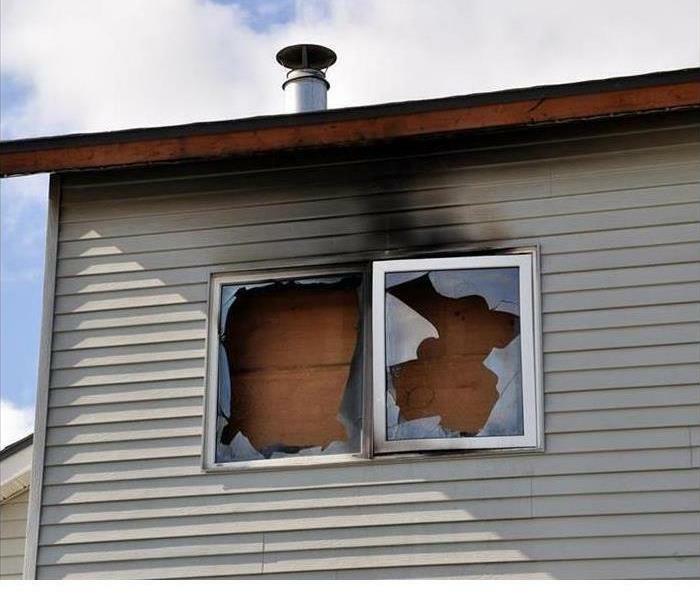 The windows were boarded up by SERVPRO to prevent any future damages. The team came in and professionally cleaned and rebuilt the property. This home suffered from a severe fire. There was significant amounts of damage. SERVPRO came in and ripped the home down to the studs to clean and rebuild home back to pre fire conditions. This basement suffered from fire damage. 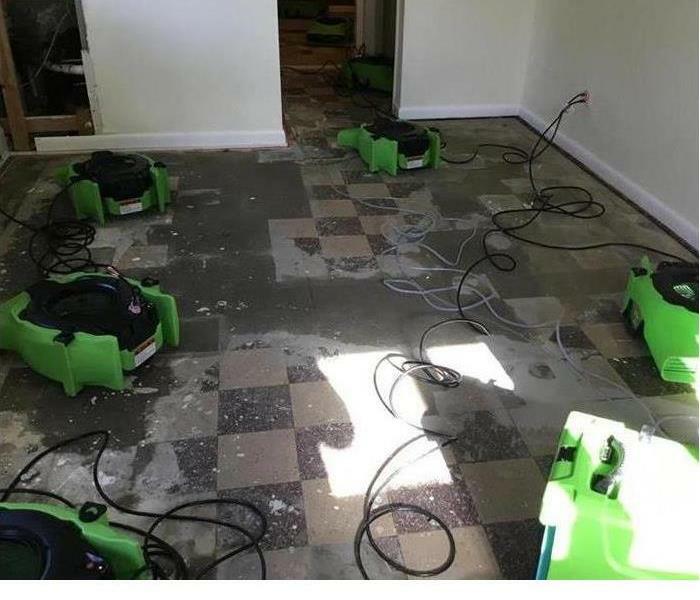 SERVPRO has special equipment they use to clean the area quickly. The carpet had soot and fire stains and they came in and cleaned the carpet removing all stains. How do I clean up my home after a flood? 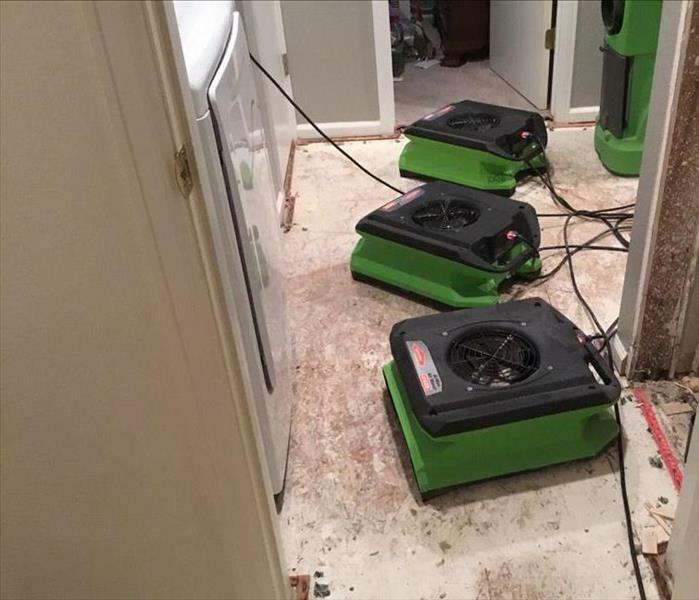 If you have a flood in your home, it is critical to get SERVPRO of North Thornton and Brighton on site as quickly as possible. They will get all of the water extracted and dried out, to get your home back in order. 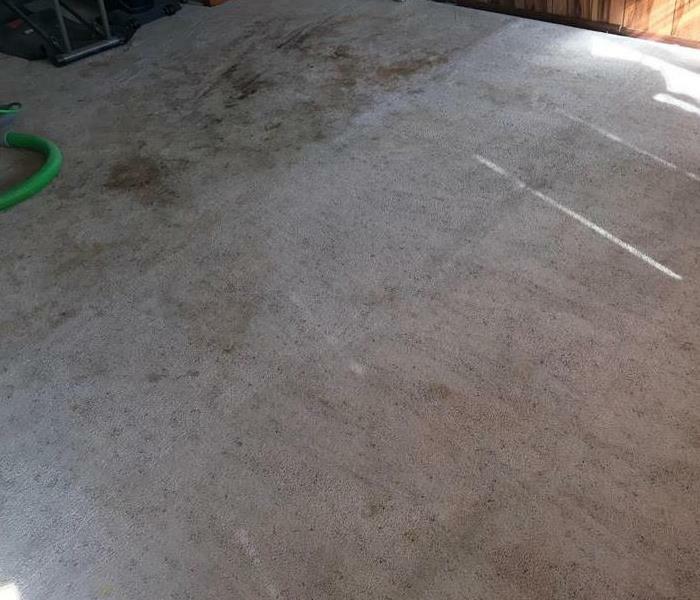 SERVPRO of North Thornton and Brighton was able to clean this carpet and make it look like brand new. As you can see, it was very dirty at first and we were able to get a lot of the dirt and debris out. 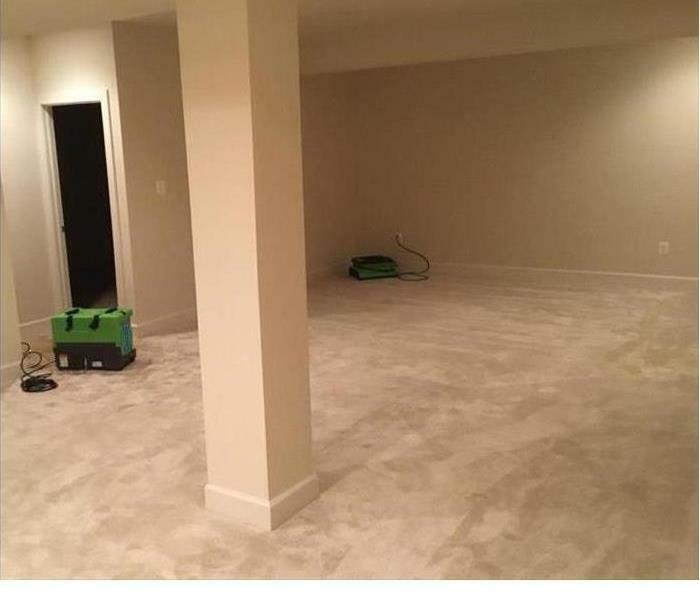 What to do with dirty carpet? Have SERVPRO of North Thornton and Brighton come on site and clean the carpet. Our team is trained to get out the nastiest stains. If you have any questions why our process is the best, feel free to reach out at anytime. What to do if I have water damage in my home? Call SERVPRO of North Thornton and Brighton immediately to get a trained and experienced team on site. It is important to get the water extracted as soon as possible to prevent secondary damages from happening. 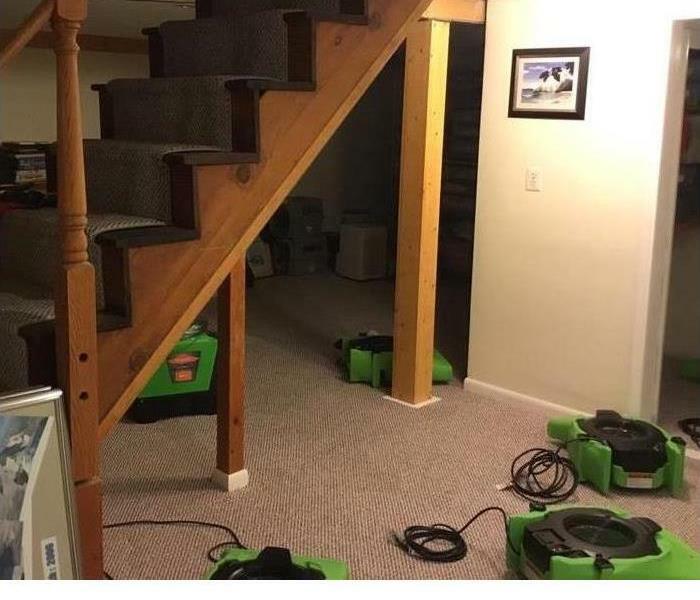 SERVPRO of North Thornton and Brighton has the team and equipment in place to handle any size cleanup. Our team is quick to respond and start the mitigation process. If you have any questions, feel free to reach out at anytime. I visited the mall on Wednesday with the guys from SERVPRO of Fort Collins and SERVPRO of Castle Rock and Parker. There was a lot of green! Great to be a part of such an amazing company!